Vibration Watch with Multiple Alarms (6 - 8 - 12). Alarm Watch from e-pill Medication Reminders. Vibration on your wrist alerts you when you cannot hear an audible alarm or when you prefer discreet reminders that won’t alert others. Use the alarm settings (6 alarms, 8 alarms or 12 alarms e-pill MeDose Parkinson mostly used by Parkinson's / PD patients or 12 Alarm VibraLITE) for Fixed Reminders (alarms goes off at the same time each day), Variable Reminders (change the times each day = alarm has to be set every day), or use a Countdown Timer for Interval Reminders. 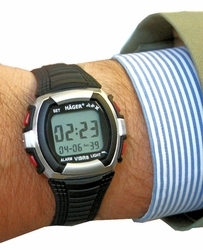 The popular e-pill CADEX 12 Alarm Watch is Sound (Beep) Alarm only. Using an e-pill Alarm Watch is the easy solution for staying on track for medication compliance, medical conditions, daily tasks, time management, waking up and more. 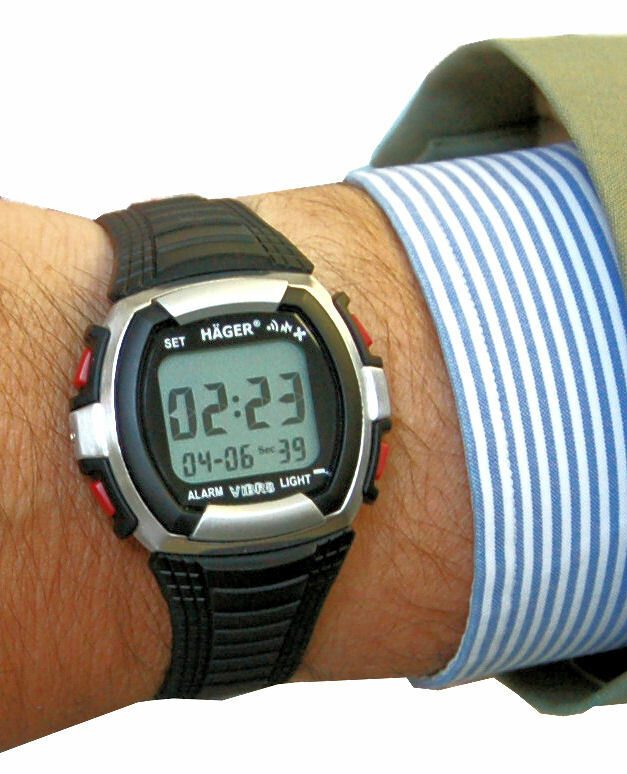 Vibration Watch models are available for every patient, every age and every need.